Meet your neighbor Courtney Graves. Courtney is the daughter of Tim and Monalisa Graves of La Harpe. She was born in Macomb June 27, 1994. Tim works for the city of La Harpe and her mom works for Oliver and Company in Macomb. Courtney has 2 older brothers Jason and Justin and one older sister Crystal. Jason works for Lavadiere in Macomb and is engaged to Vanessa Stone. Justin is a 2010 graduate of Illini West and is now attending John Wood College and working for Oak Grove. Her sister, Crystal has two sons Ashton and Harley and works at Ayerco in La Harpe. Courtney's grandparents are Dolly and the late Dutch Patterson of La Harpe and Gene and Marna Graves of Gilson. 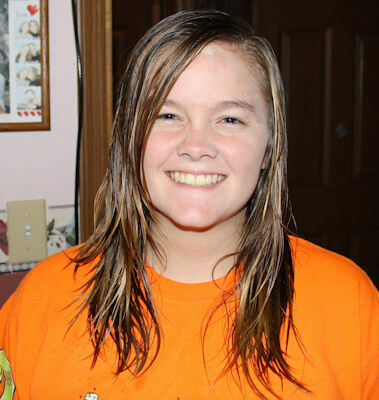 Courtney is a Junior at Illini West, and she is a member of FFA. She enjoys playing softball, hunting, four-wheel riding, and hanging out with friends. Courtney's most memorable vacation is when she went to Branson and to Silver Dollar City and jumped off the cliffs into water.